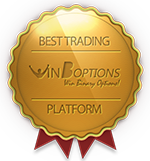 WinOptions fully understands the importance of 24/7 access to the global financial markets. With your needs in mind we have established an advanced and feature-packed mobile application for binary options trading. Through WinOptions Mobile trading app, you can now take advantage of the market movements from any place at any time. Profit from the market fluctuations as you trade hot Win Options assets like gold, oil, Google, Apple, Dow Jones, NASDAQ and other leading stocks, Forex pairs, commodities and indices. With our fully-optimized mobile application, you can execute trades in real-time straight from your iOS or Android-powered mobile device/tablet. Feel the power of the world’s cutting-edge binary options mobile trading platform today! Mobile trading is amazing and engaging at the same time. 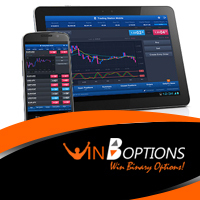 Win Options Mobile app has the complete functionality of its web-based counterpart, but makes trading more convenient and exciting since you’re using your smartphone/tablet when trading binary options. This allows you to trade WinOptions on the go without having to compromise security, power, accuracy and reliability. This mobile app was designed so you can stay connected with the global markets and keep on-track with your open positions whenever there’s a trading opportunity. In a nutshell, WinOptions mobile puts the entire global market at your fingertips and enables you to invest on various assets wherever you go. Mobile trading is the latest trend in the binary options industry today, that’s why WinOptions sees to it that our mobile trading platform is suitable for everyone’s goals and investment profiles. To make your trading sessions lively and dynamic, our mobile app is packed with tools and features that will help you maximize your earning potential. Total accessibility. Get full access to your trading log, including live and expired positions. You can also view your trade history and past expiries for your reference. Fully-functional. Take your trades to the next level with our range of powerful features including 60 seconds trading, One Touch, Buy Me Out, Double Up and Roll Over. Fast-paced environment. Open and close your trades with instant execution. Live and comprehensive charts for each option available on the WinOptions web platform. Wide-ranging collection of assets open for trading such as gold, oil, EUR/JPY, EUR/USD, Nike, Facebook, Google, Apple, NIKKEI 225, S&P 500 and more. Intuitive user controls. Just tap and swipe and you’re ready! Available for Android and Apple devices. Win Options mobile is free to all WinOptions traders worldwide. Download our app for free on Google Play for Android users and on the App Store for iOS users. It only takes a few seconds to complete the download process. 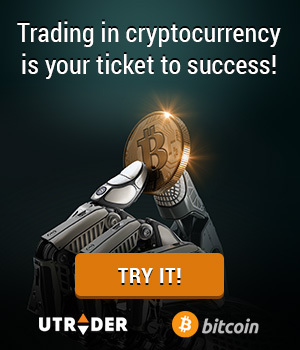 Once downloaded, install it on your phone and get trading! Deposit funds on the go. Running out of trading credits? Fret not. WinOptions Mobile incorporates the same payment methods for quick and hassle-free banking. Deposit funds via credit cards, e-wallets or wire transfers and your funds will reflect in your trading account after a few minutes. Secure mobile environment. Not only do you experience convenience when WinOptions trading mobile, you also get the same level of security whenever you access the markets. It’s in line with our goal to keep your security as our top priority. Rest assured that you will receive the highest level of protection, whether you trade online or through your mobile device.